Solarize U was able to donate the solar panel system thanks to the level of community participation in the program, which aimed to boost the number of local households generating power from the sun by offering discounted rates and installation incentives. For every 35 homes that worked with Solarize U to install rooftop photovoltaic panels, one system was donated to a local nonprofit. 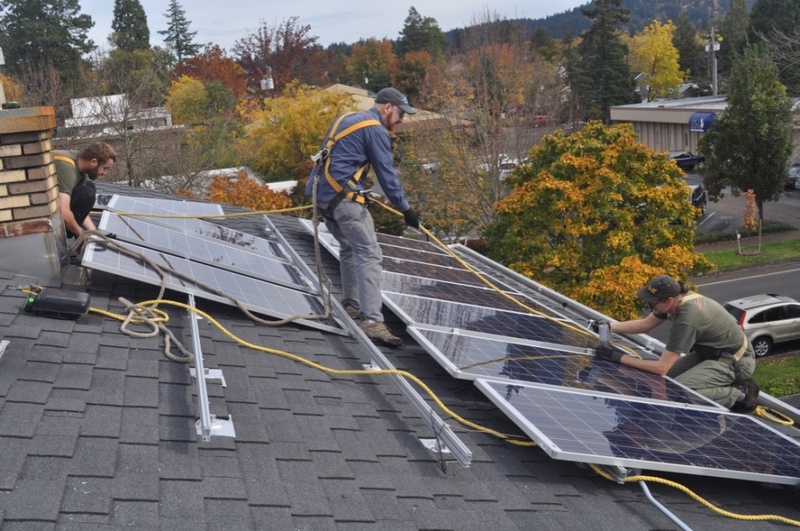 “It’s fitting that one of Eugene’s most respected environmental organizations is receiving the first solar panel donation,” said Steve Mital, director of UO’s Office of Sustainability. More than 80 area households took advantage of the program’s group rates and streamlined design and installation processes. In addition to the installation at the Environmental Law Alliance Worldwide, another system will be donated to the Veterans’ Housing Project.